This is the next step to a perfect physique from the million bestseller. 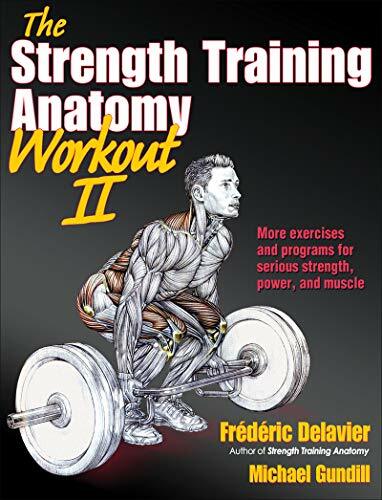 Frederic Delavier's best-selling "Strength Training Anatomy" has sold more than 1 million copies worldwide and now his follow-up book, "The Strength Training Anatomy Workout, Volume II", provides serious strength trainers and bodybuilders with the keys to creating lean muscle mass. 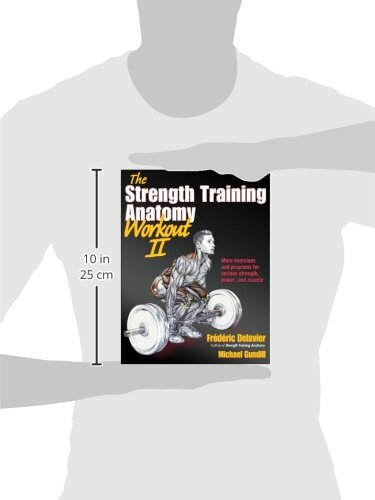 Following on from the more basic "Volume I", Delavier and co-author Michael Gundill focus on the more elaborate techniques that experienced strength training enthusiasts can use to accelerate their progress., In addition to 60 exercises, 19 stretches and 9 programmes, it's packed with over 1,200 full-colour photographs and 160 of Delavier's trademark illustrations. 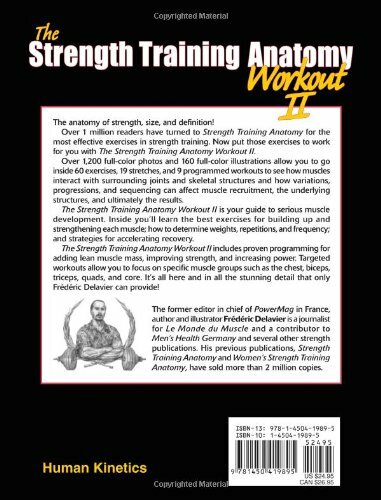 The book describes in detail some of the advanced methods for jump-starting a workout programme, featuring segmented workouts that target specific muscle groups like the chest, biceps and forearms.